Few things evoke the tropics like a palm tree. Growing palm trees outdoors in northern climates can be challenging due to their frost intolerance but some, like cabbage palm and Chinese fan palms, will survive temperatures to 15 degrees Fahrenheit (-9 C.) when mature. Warm climates get their pick of palm tree choices. No matter where you have the plant, knowledge on how to take care of palm trees will help you have a healthy specimen standing proudly in your garden. Palm tree care starts with proper selection of species. 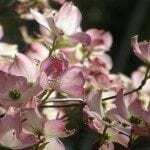 Choose one that is hardy in your region and situate it where it gets adequate light and has excellent drainage. 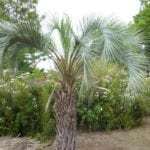 There are many varieties of palms from which to choose, but consideration should also be taken as to the plants mature size. Some are towering plants and don’t fit into many home landscape situations. 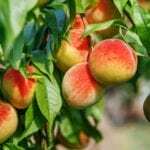 You can also select the cold hardy varieties for warm season growing. Larger trees should be grown in ground while smaller varieties, such as sago, are useful for growing palm trees outdoors in containers. Once you have your selection site, preparation is crucial to a healthy plant. 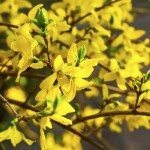 Excessively alkaline soil should be amended with sulfur. The area should have organic nutrients over a large area since palm tree roots will spread and should have access to these nutrients many feet from the trunk. Take care not to bury the trunk in soil when planting a palm tree, as this could cause rot. Water the root ball before back filling the hole. Spread mulch several feet from the trunk out around the root zone to provide supplemental nourishment over time as it composts. Replace the mulch annually. After planting a palm tree, it needs supplemental watering until it establishes. Do not let the soil dry out completely for the first several months, but also do not let it stand soggy or you will invite fungal issues. In the first year, do a foliar feeding in spring and a time release granular feeding with a 3-1-3 ratio every 4 months. Once the plant has been in the ground a year, apply only the granular feed. Prune off dead fronds as they occur. If you need to prune to maintain size, only prune off the bottom to middle fronds. Topping a tree is not recommended which is why it is important at purchase to consider the mature size. 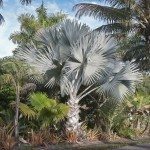 With very little palm tree care, these majestic plants will live in your landscape for a generation or more, providing shade, dimension and exotic beauty.